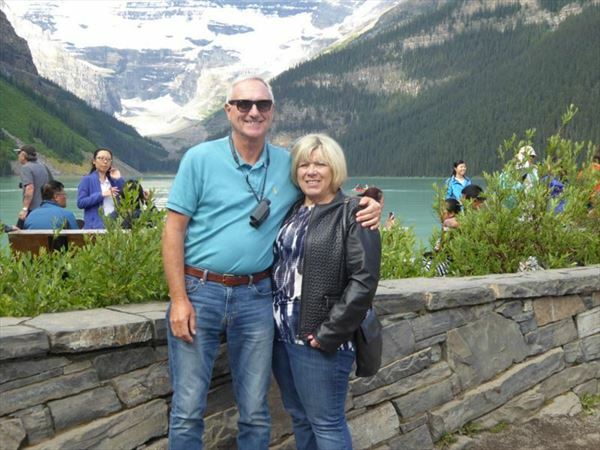 Canada & Alaska was on our “bucket list” and given that we had enjoyed our vacation in Barbados with Tropical Sky - Julie Leggatt sorted out our trip for us. We also had two friends who wanted to accompany us and we gave our requirements to Julie who arranged everything. We flew to Calgary where we stayed overnight before going onto Banff for three days. 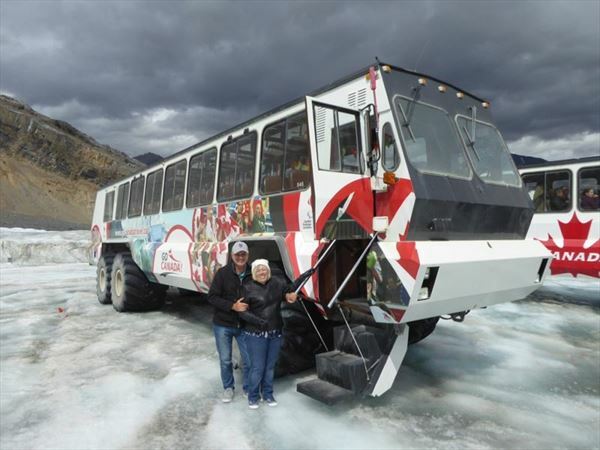 Whilst there we had trips booked to the Athabasca glacier and a trip in a gondola up Sulphur Mountain. The glacier was really fantastic and to actually walk around on the glacier itself was brilliant and certainly nothing like any previous experiences. 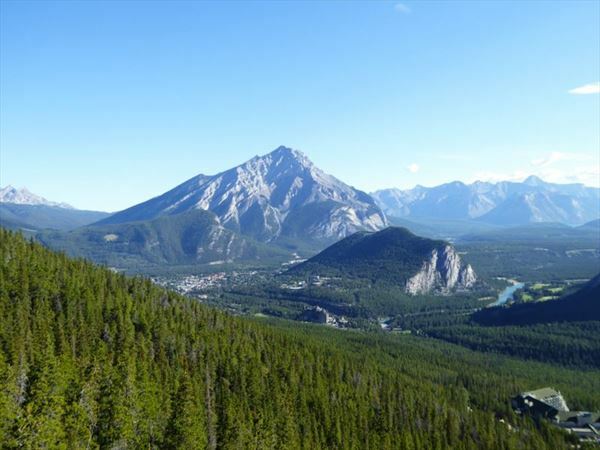 The view from Sulphur Mountain is breath-taking, looking out over mountains, forests and rivers. The town of Banff is really pretty and it was great to take a stroll by the Bow River or wander around the shops in the town. We also sampled Bison steaks for dinner one evening. From Banff we rode the Rocky Mountaineer train to Vancouver over two days. The views, service and overall experience on the train was first class. The Rocky Mountaineer people continually gave us information regarding the areas we were passing through and were extremely knowledgeable. The train ride is certainly something I would not hesitate to recommend to any travellers. When we arrived in Vancouver our friends surprised us by telling us that they had arranged to get married on board the ship before it left Vancouver for our week long trip to Alaska. They informed us while we were in the bar of the hotel and Jan shrieked so loudly with delight and astonishment that the waiter almost dropped a tray of drinks. We certainly did not anticipate a wedding ceremony during our vacation. Alaska was wild and rugged and very impressive regarding scenery, in fact it was difficult to decide which scenery was more spectacular, the Canadian Rockies or Alaska. 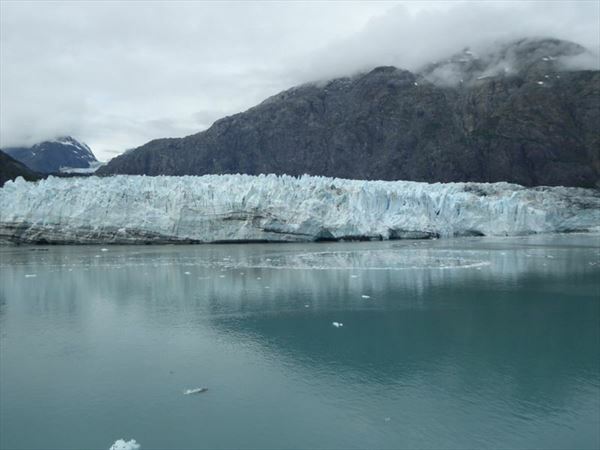 The places we visited, Juneau, Skagway & Ketchikan were so different to any other towns we have visited and you almost expected gold prospectors to turn up around the next corner. We went to a lumberjack show in Ketchikan which was both funny and very skilful. To see how these guys wield really sharp axes is incredible. When we arrived back in Vancouver we took a trip to Vancouver Island and although it was a long day it was worthwhile and Butchart gardens was particularly beautiful. Victoria is a lovely place and although our time was short there we enjoyed strolling around the harbour area and town centre. The only thing we regretted was the fact that we did not have more time on Vancouver Island as I am sure it had much more to offer than we were able to get around too. All of the hotels we stayed at were excellent and we are now looking forward to our next trip with Canadian Sky in 2017. We would like to thank Terry & Jan for sharing their story with us and hope to welcome you on another holiday soon..